Backhoe excavator robot --- Force-Position control --- IT2FLC --- Ant Colony Optimization. 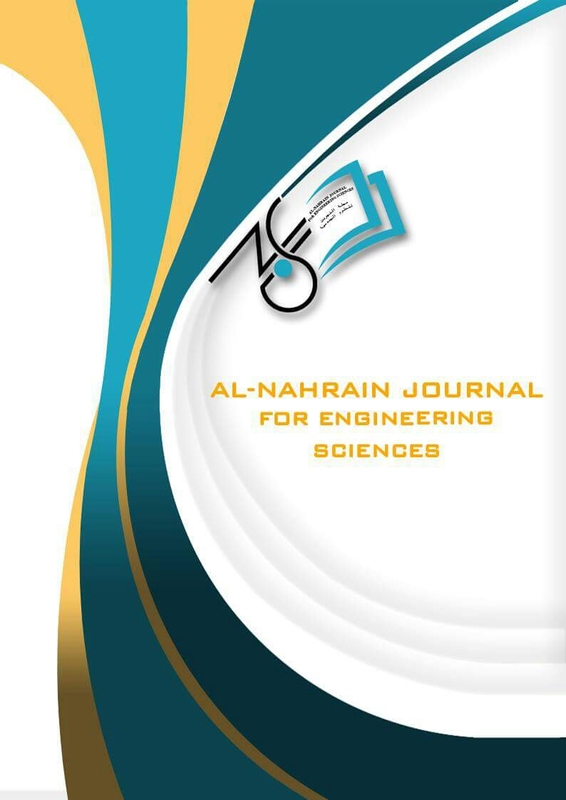 In this study a numerical examples and solutions has been obtained by using three system of beam resting on elastic foundation (BOEF) which was adopted previously by three different engineering software. The first part of this paper was related to verify the model of (BOEF) by using ETABS2015 by make a comparison with previous results by determination the maximum settlements at the mid of span which show a good agreement between ETABS2015 and other results, where the total differences was vary from 2.13 % to 3.27%. . The second part of this study was highlighted on the settlement of BOEF with different parametric study (beam thickness, soil subgrade reaction(KS) and the load location), case (1) was selected for this goal. In this paper it is found that the differential settlement along the beam are decrease as increasing in the beam stiffness in addition to possibility to obtain uplift (positive settlement ) for some type of changing in the load location specially for higher thick beam . It was noticed that the settlement are increased significantly as reducing in the (KS). Finally this study show a different form of deflection by combination two of parametric study.تم التطرق في ھذه الدراسة الى نوع من انواع الاساسات والمستخدمة بشكل واسع في عملیة تنفیذ المباني والمستندة الى اساس مرن والخاصة نسبة الى العالم الذي قام بتمثیل Winkler او تسمى في بعض الاحیان نظریة Beam On Elastic Foundation (BOEF) بنظریة التربة وذلك باستخدام محموعة من النوابض ذات مقاومة معلومة والتي تستند علیھا الاسس مثل الاسس الشریطیة او الاساس المركب والمتعرضة الى احمال منقولة من المقاطع اللانشائیة الخاصة بالمنشأ مثل الاعمدة اوالجدران companied and strip footings والتي تم (BOEF) في عملیة تمثیل وتحلیل ثلاث انظمة من ال ETABS الحاملة للاوزان حیث تم استخدام البرنامج الھندسي 2015 لغرض المقارنة والتحقق Span الاستفادة منھا سابقا في بعض البرامج الھندسیة الاخرى حیث تم ایجاد قیم الھطول في منتصف ال وكانت النتائج جیدة جدا حیث كان نسبة الاختلاف تتراوح مابین 3.27 % و 3.12 % . ولغرض معرفة تصرف مثل ھذه verification parametric study المقاطع الانشائیة تم استخدام المثال الاول لغرض اجراء بعض التغیرات وذلك باعتماد بعض حالة او اكثر من ال والتي كانت تضم سمك العتبة ,مقدار رد فعل التربة بالاضافة الى تغییر موقع الحمل . ومن اھم ما لوحظ في ذلك الفصل ھو امكانیة حصول في بعض الحالات نتیجة لتغییر موقغ الحمل وكذلك نقصان في درجة التحدب والحصول على ھطول منتظم كلما uplift الھطول الموجب زاد نسبة الجساءة الخاصة بالعتبة مع ملاحظة ان تغییر مقدار رد فعل التربة لایؤثر على شكل الھطول بقدرما یؤثر على مقدار الھطول حیث یتناسبان بشكل عكسي فكلما زادت قوة تحمل التربة قل مقدار الھطول . Improving the ability of asphalt pavement to survive the heavily repeated axle loads and weathering challenges in Iraq has been the subject of research for many years. The critical need for such data in the design and construction of more durable flexible pavement in bridge deck material is paramount. One of new possible steps is the epoxy asphalt concrete, which is classified as a superior asphalt concrete in roads and greatly imparts the level of design and construction. This paper describes a study on 40-50 penetration graded asphalt cement mixed with epoxy to produce asphalt concrete mixtures. The tests carried out are the Marshall properties, permanent deformation, flexural fatigue cracking and moisture damage. Epoxy asphalt mixes performed better on resistance to fatigue and permanent deformation. They also performed significantly better on low-temperature properties and resistance to moisture damage. The addition of 30 percent of epoxy (by weight of asphalt cement) resulted in increase of Marshall stability by 39.8 percent, improve the tensile strength ratio by 22.9 percent, lowering both the rate of permanent deformation by 26.8 percent and the fatigue accumulation coefficient by 53.5 percent, in comparison with control HMA. Based on the above findings, it is recommended to use epoxy asphalt mixes as an optimal material for paving bridges deck in Iraq since it showed good prospects for this application due to the valuable performance and durability improvement. Asphalt --- Epoxy Asphalt Concrete --- Fatigue --- Permanent Deformation. The present work was designed on producing nanohydroxyapatite layers using electrophoretic deposition (EPD) on 316L stainless steel substrate. The EPD coatings were prepared by the deposition of hydroxyapatite (HA)-chitosan nanocomposites on different substrate roughness (polish surface, 220 grit SiC grind, and sand blast surfaces). Depositions were performed using the suspensions of HA nano particles (3 g/L) in the mixture of alcohol and distilled water (ethanol, 5 vol. %water and containing 0.5 g/L of chitosan dissolved in 1 vol.% acetic acid. Coatings were achieved on the cathode at constant voltage, time and temperature (90 V, 5 min and 40 °C respectively); the pH value was performed and fitted at 4. After deposition, the coated samples were dried at room temperature for 24 h. The surface topography of coatings was analyzed using atomic force microscopy (AFM). SEM was used to postulate both the surface and the cross section morphology of the coatings. The adhesion bonding between the deposited coatings and substrate were measured using tape tester to evaluate the adhesion bonding between the coating and substrate. The results showed the deposited coatings on sand blasted substrate has less porosity compared with the polish surface and 220 emery paper SiC grinding substrate respectively. The coating on the sand blasted substrate showed higher nanoroughness (122 nm), better adhesion bonding (removal area 15%) and higher thickness layer (12 μm) than that of the polish substrate and 220 emery paper SiC grinding substrate.یھدف البحث الى انتاج طبقات طلاء من النانوھیدروكسیابتایت بطریقة الترسیب الكھربي على طبقة من الفولاذ المقاوم للصدا. الطلاء تم تحضیره عن طریق ترسیب النانوھیدروكسیابتایت والنانوكایتزون على سطوح خشونة مختلفة (سطح صقیل، سطح باستخدام ورق تنعیم 220 وسطح تم تخشینھ باستخدام دقائق الرمل). لأجراء عملیة الترسیب تم استخدام عالق متكون من اذابة 3 غم/لتر من الھیدروكسیابتایت في محلول یتكون من 95 % ایثانول و 5% ماء مقطر واضیف لھا 0.5 غم/لتر من الكایتزون والذي تمت اذابة الكایتوزون في 1% من حامض الخلیك. واستخدمت قیم ثابتة للمتغیرات بعد عملیة الترسیب تم تجفیف النماذج لمدة 24 ساعة بدرجة .º (فولتیة وزمن ودرجة حرارة) وكانت المتغیرات: 90 فولت و 5 دقیقة و 40 م كما تم دراسة سطوح والمقطع العرضي لسطوح الطلاء (AFM) حرارة الغرفة تم دراسة طوبوغرافیة السطح باستخدام محھر القوة الذریة ولتقییم قوة التصاق طبقة الطلاء مع المادة الاساس تم استخدام طریقة اختبار الشریط اللاصق . (SEM) یاستخدام المجھر الالكنروني الماسح اظھرت النتائج ان السطح الذي تم تخشینھ باستخدام دقائق الرمل ابدى اعلى قیم للخشونة وأفضل قوة التصاقیھ واعلى سمك . (Tape test) للطبقة عما في السطح الصقیل والسطح الذي تم تنعیمھ باستخدام ورق التنعیم. In this paper, we suppose a method for reducing the dispersion in the plastic optical fiber (POF) Bragg gratings based on optimizing the grating coupling-strength (ξ) using genetic algorithms. The effects of average refractive index (δn) and temperature (T) change on the dispersion properties are investigated numerically. It is found that the amplitude of the δn for low dispersion performance needs to be reduced at the cost of the design complexity of the POF Bragg gratings. Owing to the unusually large and negative thermo-optic coefficient of the POF, the dispersion due to the wavelength shift induced by the temperature variation will be reduced by operating at high ξ value. Results showed that by optimizing the ξ value a very large dispersion reduction range has been obtained, from 1178 to 11.5 ps/nm at 30 mm grating length.أعتمادا على أیجاد القیمة المثلى (POF) في ھذا البحث, نقترح طریقة لتقلیل التشتت في ألیاف براغ الضوئیة البلاستیكیة المحززة على (T) و تغییر دردة الحرارة (δn) بأستخدام الخوارزمیة الوراثیة. تأثیر متوسط معامل الانكسار (ξ) لمعامل قوة اقتران الحزوز لأداء بأقل تشتت یجب تقلیلھ مع كلفة تعقید التصمیم لألیاف براغ الضوئیة المحززة. δn خصائص التشتت تم دراستھا عددیا. تبین أن قیمة فأن التشتت نتیجة أنحراف الطول الموجي بتأثیر تغییر درجة الحرارة یمكن تقلیلة POF بسبب المقدار الكبیر و السالب لمعامل الحرارة ل فأن التشتت تم تقلیلھ بمدى كبیر جدا من 1178 الى ,ξ النتائج أظھرت من خلال أیجاد القیمة المثلى ل .ξ عن طریق العمل بمقدارعالي ل 11.5 بیكو ثانیة/نانو متر لحزوز بطول 30 ملیمتر. Dispersion in optical fiber --- plastic optical fiber (POF) --- genetic algorithms. In this paper, the robustness properties of sliding mode control (SMC) which is designed to produce a dynamic output feedback controller to achieve robustness for trajectory tracking of the nonlinear human swing leg system is presented. The human swing leg represents the support of human leg or the humanoid robot leg which is usually modeled as a double pendulum. The thigh and shank of a human leg will respect the pendulum links, hip and knee will connect the upper body to thigh and then shank respectively. The total moments required to move the muscles of thigh and shank are denoted by two external (servomotors) torques applied at the hip and knee joints. The mathematical model of the system is developed. The results show that the proposed controller can robustly stabilize the system and achieve a desirable time response specification. Human Swing Leg --- Sliding Mode Control (SMC) --- full state feedback controller --- uncertain system. One of the barriers that the developer community face once turning to the newly, highly distributable, schema agnostic and non-relational database, called NoSQL, which is how to migrate their legacy relational database (which is already filled with a large amount of data) into this new class of database management systems. This paper presents a new approach for converting the already filled relational database of any database management system to any type of NoSQL databases in the most optimized data structure form without bothering of specifying the schema of tables and relations between them. In addition, a simplified software as a prototype based on this algorithm is built to show the results of the output for testing the validity of the algorithm.احدى العوائق التي یواجھا مجتمع المطورین عند التحویل الى نظام قاعدة البیانات الغیر علائقیة الحدیثة التي تسمى وتتصف بسھولة التوزیع ولا تحتاج الى مخطط قاعدة بیانات، ھي كیفیة ترحیل قاعدة البیانات العلائقیة الخاصة بھم، بNoSQL التي تحتوي على كم ھائل من البیانات، الى ھذا الصنف الجدید من أنظمة إدارة قواعد البیانات. ھذا البحث یقدم خوارزمیة مبتكرة بأفضل NoSQL لتحویل قاعدة بیانات علائقیة من أي نوع من أنظمة إدارة قواعد البیانات الى أي نوع من قواعد بیانات الصیغة ھیاكل بیانات ممكنة ومن دون عناء تحدید مخطط للجداول والعلاقات بینھا. بالإضافة لذلك، تم تطویر برنامج مبسط كنموذج تجریبي بالاعتماد على ھذه الخوارزمیة وذلك لعرض نتائجھا من اجل اختبار صحتھا. Unconfined compressive strength represents an important parameter for soil investigation report test results because the values of cohesion and allowable bearing capacity can directly obtained from the relevant test especially if the clayey soil layers are found at sufficient enough depth above water table level. This paper deals with simple comparison (based on (31) soil samples) between unconfined compressive strength (qu) obtained by using the pocket soil penetrometer tool and the unconfined compressive strength using the conventional test for the same sample penetrated by the pocket penetrometer with different soil moisture contents. Two triaxial specimens, sample type-1- with dimensions 38 X 79mm and type-2- with dimensions 33 X 79mm(diam. X height)) prepared in the libratory. It was found that the results refers that soil pocket penetrometer readings are closed enough to the results that obtained from the unconfined compression test result with certain conditions. The average percentage of difference between penetrometer readings and unconfined compression test result values was (1.103%) for sample type-1- and (1.53%) for sample type -2-. The maximum moisture content for all tests samples was (27.3%) and the minimum was (14.7%) while the average moisture content was(20.9%).الخلاصة ان مقاومة الانضغاط غیر المحصور تمثل عاملا مھما في نتائج تقریر تحریات التربة حیث یمكن حساب قوة تماسك التربة ومقاومة الانضغاط المسموحة مباشرة من الفحص اذا كانت الترب الطینیة ضمن عمق مناسب فوق منسوب المیاه السطحیة. یتناول البحث مقارنة أولیة لنتائج فحوص ( 31 ) نموذج تربة تم فحصھا باستخدام اداة اختراق التربة وفحص الانضغاط غیر المحصور 79 ملم) * التقلیدي لنفس النموذج بمحتوى رطوبة فعلي متغیر، وقد تم استخدام نموذجین قیاسیین لفحص الانضغاط ثلاثي المحاور بأبعاد ( 33 . ( 79 ملم) لنموذج نوع ( 1 * لنموذج نوع ( 2) و( 38 وجد بعد مقارنة النتائج المتحققة لمقاومة الانضغاط غیر المحصورة بین الطریقتین ان مقدار النسبة المئویة للفرق بین القرائتین كان . ( %1.53 ) للنموذج رقم ( 2) و( 1.103 %) للنموذج رقم ( 1 ) ان مراقبة نتائج محتوى الرطوبة الفعلي المسجل بینت ان القیمة العظمى لمحتوى الرطوبة كانت ( 27.3 %) فیما كان مقدار أدنى محتوى . (% رطوبة فعلي( 14.7 %) فیما كان معدل محتوى الرطوبة الفعلي لكل النماذج ( 20.9 بالاستناد الى الى نتائج الانضغاط الغیر محصور المسجلة فأن ھناك مقبولیة لاستخدام اداة اختراق التربة الموقعیة نظرا لتقارب نتائجھا المسجلة مع قیم فحص الانضغاط الغیر محصور التقلیدي للترب الطینیة وفق شروط یوضحھا البحث. Pocket Soil Penetrometer --- Unconfined Compressive Strength --- allowable bearing capacity. The present work deals with direct diffusion bonding welding without interlayer of austenitic stainless steel type AISI 304L with Oxygen Free High Conductivity pure copper (OFHC) in vacuum atmosphere (1.5 *10-5 mbr.). The optimum bonding conditions are temperature of 650 ◦C, duration time of 45 min. and the applied stress of 30 MPa, in order to secure a tight contact between the mating surfaces. The corrosion behavior of diffusion bonding joints in 3.5% Nacl is studied to evaluate the corrosion resistance of welding joints by using Potentiodynamic method. The observed microstructure of corroded specimen of optimum diffusion bonding joint shows that the corrosion current density has low value as compared with base materials used. During polarization, galvanic coupling is observed between two materials used. At passivity region, inverse polarity is occurred at 450mV. Therefore, passive stainless steel 304 L behaves as cathode respective to pure copper, the corrosion behavior of the diffusion bonding joint was mostly by copper side. The corrosion results indicate the presence of galvanic effect. The corrosion current density of copper, stainless steel 304L and bond joints condition were (3.66 μA/cm2, 1.62 μA/cm2 and 1.85μA/cm2) respectively. A SEM examination of corroded diffusion bonding joint indicates that the galvanic corrosion happened on copper side. The corrosion rate of bonding joint conditions was 0.85 mpy, which is less than 1%. This means that corrosion resistance of bond joint is more than excellent. The Electrodeposition process has been used to prepare Nickel-Tungsten alloys on low carbon steel substrate by using ammonical citrate bath. The influence of deposition condition by variation of current density (0.04-0.2 A/cm2) and solution temperature (60-70 °C), on the microstructure was studied. The optical microscope and the scanning electron microscopy (SEM) were used to study the morphology of the deposit while the energy dispersive spectroscopy (EDS) was used to approximate the composition, in addition to X-Ray diffraction examination. The results show that the current efficiency has the major influence on the tungsten content in the alloys due to the formation of ternary complex which reflected into the properties of the deposit.أستخدمت طریقة الترسیب الكھربائي لتحضیر سبائك من النیكل- تنغستن على قاعدة من الحدید واطئ الكاربون بأستخدام -0.04) A/cm أحواض تحتوي على الأمونیا والسترایت. حیث تم دراسة تأثیر متغیرات عملیة الطلاء من حیث كثافة التیار 2 70 -60 ) على التركیب المایكروي. تم أستخدام المجھر الضوئي والماسح ) °C 0.2 ) ودرجة حرارة المحلول فقد أستخدم (EDS) من أجل قیاس البنیة المجھریة للمترسب، أما جھاز مطیاف تشتت الطاقة بالأشعة السینیة (SEM) الألكتروني (XRD) من أجل حساب التكوین التقریبي للمترسب بالأضافة الى فحص حیود الأشعة السینیة . أظھرت النتائج التأثیر الكبیر لكفاءة التیار على محتوى التنغستن في السبیكة ویعود السبب في ذلك الى تكوین المعقد الثلاثي والذي ینعكس على خصائص المترسب. Ni-W alloy --- Tungsten content --- current efficiency. This paper presents a simple strut and tie model to calculate the shear strength of reinforced concrete deep beams. The proposed model assumes that the shear strength is the algebraic sum of three strength components: concrete diagonal strut, vertical stirrups, and horizontal web reinforcements. The contribution of each strength components was calibrated with the test results of 305 deep beams compiled from previous studies with wide range of geometrical and material properties. The predictions of the proposed model were compared with those of the current codes of practice (ACI-318-14 and ASHTOO 2014) and those of existing model in the literature. Comparisons revealed that the proposed model provided better predictions than other models. The mean of predicted strength to test of the proposed model, the ACI-318-14 model, the ASHTOO 2014 model were 0.98, 0.79, and 0.75, respectively. The corresponding standard deviations were 0.17, 0.28, and 0.49, respectively. Reinforced concrete --- deep beams --- shear strength --- concrete efficiency factor --- strut and tie model. --- الخرسانة المسلحة --- العتبات العمیقة --- مقاومة القص --- معامل كفاءة الخرسانة --- نموذج الدعامة والرباط. This study investigated numerically and experimentally fluid flow and heat transfer in the desktop PC. Three patterns of the positions of air inlet and outlet were tested to find the best one for cooling. The computer components in the present study are CPU, finned heat sink, power supply, motherboard, CD, HDD and fans. Three components which were generate heat are CPU, motherboard and power supply and there were two openings for air inlet and two for air outlet. The air inlet velocities were 1.2, 1.8, 2.4 m/s with constant CPU fan velocity. The studied parameters were the changed of inlet air velocity, powers of CPU, motherboard and PSU and the positions of inlet air. The numerical results obtained are found in a good agreement with the experimental results. The experimental results show that the maximum temperature was 81℃ at 16.5 W and 1.2 m/s. Numerical results showed that the CPU temperature reaches 89.6 ℃ at 18.5 W and 1.2 m/s. From the results, it was found that; the temperatures of the main components (PSU and motherboard) affected little by CPU power and vice versa, the finned heat sink has higher cooling efficiency and the pattern 1 was the best pattern for CPU cooling. computational fluid dynamics --- active heat dissipation --- PC cooling --- CPU cooling --- finned heat sink --- forced convection and electronic cooling. Incremental forming is a flexible sheet metal forming process which performed by utilizes simple tools to locally deform a sheet of metal along a predefined tool path without using of dies. One limitations of single point incremental forming (SPIF) process is the error occur between the CAD design and the product profile. This work presents the single point incremental forming process for produced pyramid geometry and studied the effect of tool geometry, tool diameter, wall angle, and spindle speed on the dimensional accuracy. Three geometries of forming tools were used in experimental work: ball end tool, hemispherical tool, and flat with round corner tool. The sheet material used was pure Aluminum (Al 1050) with thickness of (0.9 mm). The experimental tests in this work were done on the computer numerical control (CNC) vertical milling machine. The products dimensions were measured by utilized the dimensional sensor measuring instrument. The extracted results from the single point incremental forming process indicated the best acceptance between the CAD profile and product profile was found with the ball end tool and diameter of (10 mm), wall angle (50°) and the rotational speed of the tool was (800 rpm). SPIF process --- CNC milling machine --- Dimensional accuracy. This study was devoted in investigating the optimum geometric parameters for underactuated linkage three phalanges robotic finger. New kinematic and kinetic equations of grasping were derived in this research taking into account the angle for the ternary solid links of the four-bar linkages. To obtain the target of optimization, a gradient descent method was used which consists of three stages to find the optimal geometric parameters with high accuracy. Five criteria were selected to find the optimal solution by using multi objectives function algorithm, these are percentage of the grasping stability, the grasp forces, squeezing force, Mimic function for grasping task, and transmission angle for grasping operation. Gradient descent method starts by detecting the optimal geometric parameters for each criterion and choosing the best geometric parameters from the five criteria functions. At the optimum solution, the underactuated robotic finger prototype was built from hard Polylactic acid (PLA) plastic using rapid prototyping and was tested performance by grasping objects. Finally, the results have been shown that the robotic finger adapts to the wanted configurations. Underactuated --- Robotic finger --- Gradient descent method --- Grasping --- four-bar linkages. The corrosion behavior of martensite phase in Cu-Al-Be shape memory alloy with aging at 150℃ at time 2,4and 6 hour and quenching ice water with salt, water at room temperature and oil media study by open circuit potential, tafal polarization and cyclic polarization. The microstructure of martensite study by optical microscope and x-ray diffraction(XRD) and transformation temperature was determined by Differential Scanning Calorimeter (DSC).the result show aging martensite at 150℃ at 2 and 4 hour have high open circuit potential, low corrosion current density, high corrosion potential and pitting potential than martensite without aging. Cu-Al-Be shape memory --- martensite phase --- corrosion behavior. Abstract Galvanic corrosion of Nickel-Chrome alloy (Ni-Cr alloy) and Copper (Cu) coupled in 5% sulfuric acid solution was investigated. The effects of agitation velocity, temperature, and time on the galvanic corrosion current and the weight loss of both metals in both free corrosion and galvanic corrosion were investigated. The trends of open circuit potential (OCP) of each metal and galvanic potential (Eg) of the couple were also determined. The results showed that Cu was cathodic relative to Ni-Cr alloy in galvanic couple and the corrosion potential of the couple (Ni- Cr alloy /Cu) was between the values of the two single components because the OCP of copper shifted to positive with the increase in velocity. Under stagnant conditions initially the galvanic current was more negative then shifted to the positive with time. The corrosion of Ni-Cr alloy decreased with time because the passivation layer was formed on the surface. Under flow conditions, the galvanic current sharply shifted to the negative direction (increase galvanic current from Ni-Cr alloy (anode) to Cu (cathode) during the first few minutes. Improving fatigue life is one of the most important issues in mechanical design; an investigation has been conducted on Al 2017-T4. Group of samples have been machined and prepared, some of specimens have been treated using the ultrasonic impact treatment (UIT) with one line peening. The fatigue tests were carried out under constant and variable amplitude (R=-1) at ambient temperature, in order to find out the fatigue life S-N curve and strength after treatment. It has been found significant increasing in strength after it was treated by (UIT). The fatigue strength is improved after treatment up to 4.16% at 107 cycles, enhancement are present with 24% and 18.78% for the cumulative fatigue lives low-high and high–low respectively. These results also show a strong tendency of increasing of fatigue strength after application of (UIT) with increase in mechanical properties of material used. constant fatigue --- cumulative fatigue --- Aluminium alloy 2017-T4 --- ultrasonic impact treatment (UIT). This work covers mixing of unsaturated polyester (un- polyester) with starch powders as polymer blends and study the effects of irradiation by UV-acceleration on mechanical properties of its. The unsaturated polyester was mixing by starch powders at particle size less than (45 μm) at selected weight fraction of (0, 0.5, 1, 1.5, 2, 2.5 and 3%). These properties involve ultimate tensile strength, modulus of elasticity, elongation percentage, flexural modulus, flexural strength, fracture toughness, impact strength and hardness. The results illustrate decrease in the ultimate tensile strength at and elongation percentage, while increasing modulus of elasticity, with increasing the weight ratio of starch powder to 3 % weight fraction, whereas the maximum value of hardness and flexural, impact properties happened at 1 % weight fraction for types of polymer blends. The free vibration analysis of rotating multi-layered cylindrical shell is investigated based on the first order shear deformation theory (FSDT) of shell. Cylindrical shell consists of three layers; outer and inner layers are isotropic material and the middle layer is a functionally graded material (FGM). The material properties for middle layer are assumed to be graded in the thickness direction. Based on Hamilton’s principle, the equilibrium equations and the equations of motion are derived and then solved by using the differential quadrature method (DQM) as a numerical tool. MATLAB software was adopted for programming the equations and the related boundary condition. The effect of (FGM) layer thickness, angular speed, index power law, circumferential wave number on the natural frequency of the clamped-clamped rotating cylindrical shell were examined. The numerical results showed that a reasonable agreement between the present study and analytical data available in the literature. In this work chopped carbon fibers are used to improve tensile strength of Porcelanite lightweight aggregate concrete. Silica fume was added in order to improve the mixes compressive strength. Silica fume increase water demand and using fibers reduce workability, to improve workability and decrease water demand high rang super plasticizers are used. The results showed that compressive strength, splitting tensile strength, modulus of elasticity of carbon fibers Porcelanite lightweight aggregate concrete increase with increasing of carbon fiber up to 2% compared to reference Porcelanite lightweight aggregate concrete without fibers. The percentages of increasing were 14.40%, 68.00%, and 10.66% for compressive strength, splitting tensile strength, and modulus of elasticity, respectively. Flexural Strength continues in increase with increase of fibers. The dry unite weight of mixes with chopped fiber decrease with increase of fiber percentage. Besides the chopped carbon improved the ductility of Porcelanite lightweight aggregate concrete and that clear from stress-strain relationship.